Researchers say they are close to a conclusion in the Nature vs. Nurture debate – and it appears to be a draw. Australian experts have investigated one of the great tussles of science; whether our health and wellbeing is governed by nature or nurture. University of Queensland researchers were part of an international study that reviewed almost every twin study across the world from the past 50 years, involving more than 14.5 million pairs of twins. The findings - published in Nature Genetics - reveal on average the variation for human traits and diseases is 49 per cent genetic, and 51 per cent due to environmental factors and/or measurement errors. Although the contribution of genetic and environmental factors was balanced for most of the traits studied, the research showed there could be significant differences in individual traits. For example, risk for bipolar disorder was about 70 per cent due to genetics and 30 per cent due to environmental factors. “When visiting the nature versus nurture debate, there is overwhelming evidence that both genetic and environmental factors can influence traits and diseases,” UQ’s Dr Beben Benyamin said. “What is comforting is that, on average, about 50 per cent of individual differences are genetic and 50 per cent are environmental. In 69 per cent of cases, the study also revealed that individual traits were the product of the cumulative effect of genetic differences. “This means that there are good reasons to study the biology of human traits, and that the combined effect of many genes on a trait is simply the sum of the effect of each individual gene,” Dr Benyamin said. 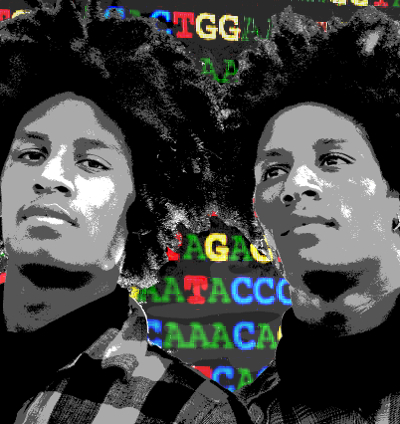 The study was performed using publications from the classical twin design, which compares the similarities of identical twins who share all their genes, to those of non-identical twins who share half their genes. The study involved a meta-analysis of 17,804 traits from 2748 publications between 1958 and 2012, based on data from 14,558,903 twin pairs. The paper is presented in an easy-to-use online form, here.